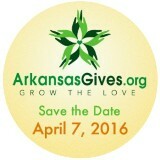 Grow the love of success, peace and prosperity for all with your donation to Economics Arkansas on ArkansasGives Day April 7, 2016, 8 a.m. to 8 p.m.
Students who benefit from economic and personal finance education acquire the insights and understanding of how to succeed in our free-market, democratic society—building a better world for us all. You can help make this happen with your donation on ArkansasGives Day, a one-day online giving campaign to support good works in Arkansas. 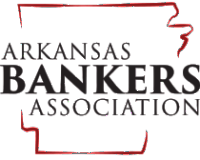 Your gift to Economics Arkansas will provide professional development training and resources to teachers and students across the state. Simply go to ArkansasGives.org anytime between 8 a.m. and 8 p.m. and make your tax-deductible donation of $25 or more to Economics Arkansas. Your gift will “grow” into something even bigger as it will qualify for matching dollars and bonuses from the Arkansas Community Foundation. Thank you.